Spelt Grass (Triticum aestivum spelta), also known as dinkel wheat or hulled wheat, is a sub-species of wheat which is currently marketed as a health food, particularly in Spain, UK and Europe. It is believed to be one of the oldest cultivated crops in human history, with evidence dating back to 5000BC. 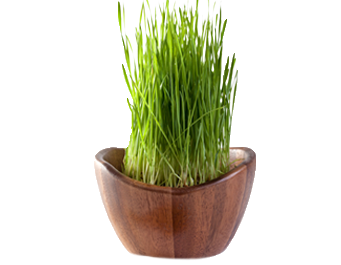 An excellent source of protein and dietary fiber, Spelt Grass also contains high levels of several B vitamins and minerals including manganese (143% DV) phosphorous (57% DV), magnesium (38% DV) and iron (34% DV). Our Spelt Grass is gluten-free, low in fat, high in dietary fiber (11%) and total carbohydrates (70%).